studied pharmacy at the University of Tübingen and was awarded his doctorate in 1984. Following a one-year period of research at the Karolinska Institutet in Stockholm, he completed his habilitation in pharmacology and toxicology in 1995. 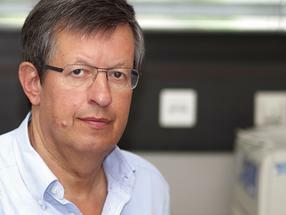 In 1998, he moved to the University of Tübingen’s Pharmaceutical Technology and Biopharmacy department to take up teaching and research duties as a senior lecturer and head of the biopharmacy research group. In 2001, he was appointed supernumerary professor. Alongside supercritical fluids, his fields of interest include the active cellular uptake of APIs, as well as research issues of interest in pharmacokinetics and biopharmaceutics. Martin Wahl is also responsible for the structure and organisation of the master’s degree course in Pharmaceutical Sciences and Technologies, and manages the alternative examination procedure for the first stage in pharmaceutical examinations at Tübingen.